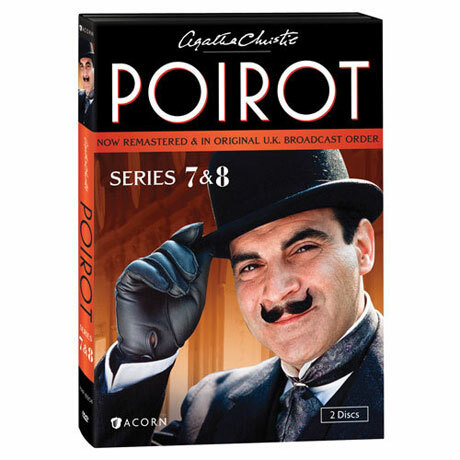 Agatha Christie's beloved Belgian detective returns in these four feature-length mysteries from the hit series. Set amid the unparalleled elegance of the Art Deco era, these beautifully remastered adaptations star David Suchet as the peerless Hercule Poirot. 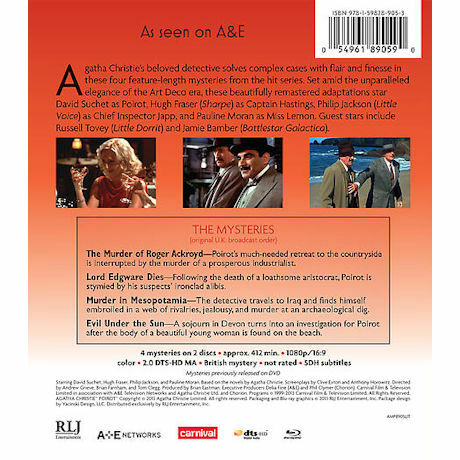 With a little help from his friends, Captain Hastings (Hugh Fraser, Sharpe), Chief Inspector Japp (Philip Jackson, Little Voice), and Miss Lemon (Pauline Moran), Poirot unravels the most tangled cases with flair and finesse. 4 episodes, 396 min. on 2 DVD or Blu-ray discs.